The publishing and printing joint-stock company “Sharq” originates from created in March, 1921 of printing house and in 1924 of “Sredazkniga” publishing-house. Subsequently there was a merge of two independent structures in the uniform publishing and printing complex publishing and issuing all republican newspapers and magazines. Today, the “Sharq” joint-stock company is the unique largest journalese complex of the Republic of Uzbekistan and Central Asia. In 1991 journalese publishing house and its printing houses were transformed to publishing and printing concern “Sharq” at Administration of President in the Republic of Uzbekistan. For the more than 90-year history the company passed a difficult way from small printing house to the huge complex supplying with the production million citizens in the Republic of Uzbekistan and abroad. For this term there were considerable, high-quality changes in the production technology, management and production sale. Now it is the leading complex equipped with the most modern equipment, specializing on issue of newspapers and magazines, books both in firm, and in soft cover, brochures, the various label, various graphic and other printed matter, many types of consumer goods. In 1999 at the international conference our company gained in Geneva where the companies from 57 countries of the world participated, special recognition and was awarded the International Gold Star. Besides, the company repeatedly received diplomas and certificates of various international forums and conferences. Since October, 2000 the Publishing and printing concern becomes Publishing and printing joint-stock company “Sharq”. In the structure of joint-stock company has two affiliated joint-stock companies: “Andizhan publishing house” and “Production commercial center“, and also the associated joint-stock company: “SharqZie-market” and limited liability company “Food and trade combine”, which state share it is transferred in an authorized capital of the company. high creative potential of professionals on preparation and editing, decorating of originals. 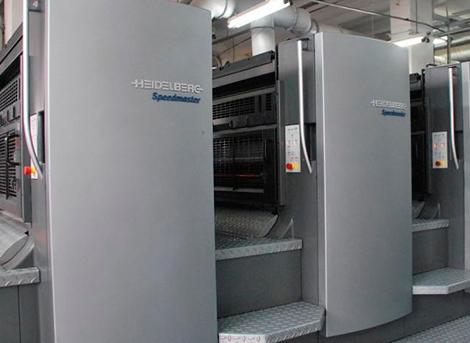 powerful printing base with the latest computer technologies and the modern typographical equipment. The purpose of our company – satisfaction of demand of consumers in various, high-quality publishing printing products on form and content both on internal, and on foreign the markets. Publishing and printing joint-stock company “Sharq” it is founded according to the Decree of the President of the Republic of Uzbekistan from October 16 2000. No. UP-2737, on the basis of the Resolution of the Cabinet of Minister in Republic of Uzbekistan from October 23 2000. No. 411 «About transformation of publishing and printing concern “Sharq” at Administration of President in Republic of Uzbekistan in the joint-stock publishing and printing company “Sharq” and the order of the State Property Committee in the Republic of Uzbekistan from March 13 2001. No. 28k-PO. 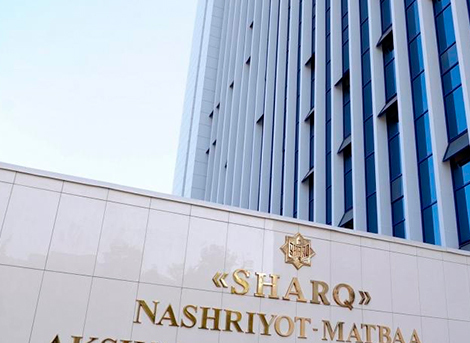 The legal address of PPSC “Sharq” it is located to the address: Republic of Uzbekistan, Tashkent, Buyuk Turon St., 41. The settlement account 20210000800101007001 in the main operative office of National bank of Foreign economic activity in the Republic of Uzbekistan. When using materials from the site, a link to the site of the «SHARQ» Publishing and Printing Company www.sharq.uz is required.